First, there was Superman to help mankind. Then, Batman arrived to fight crime. Now, it’s The Janitor because everyone knows they’re Invisible but have access to everything. The Janitor, playing soon at your local multiplex starring Ben Affleck. Paul decides not to reenlist as an Army Special Forces Military Intelligence Officer (aka spy) because he wants to return home to reconcile with his father. However, when he arrives his father is dead. The police arrested his father’s business partner for fraud and manslaughter. However, crucial physical evidence is lost in the courthouse forcing a mistrial. The partner vanishes two days later. The detective on the case not so subtly tells Paul that if the evidence is found, the case will be retried. Paul uses his spy craft to acquire a job as a janitor in the courthouse so he can find the evidence files. While working there, he hears various tales of woe and becomes a vigilante. He calls himself, The Janitor. Okay, it sounds pretty campy. You can almost see the big red Pow! and Zonk! in your mind as you are reading Invisible. It begins completely differently with Paul’s last job for the Army. I would have preferred more of that story. However, the janitor story was entertaining. It seemed very cinematic. You do root for Paul though his side trips to fix everyone’s problem before resolving his own are distracting. 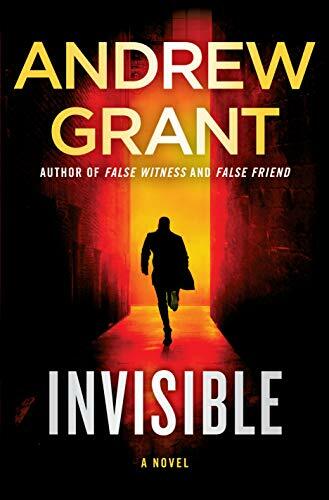 The author, Andrew Grant, is the younger brother of Lee Child. He has written two series, both are trilogies, so I expect to see a couple more books in The Janitor series too. If you like superhero movies and thrillers, this novel will be perfect for you. If you like thrillers, Invisible is recommended as a breakneck read with a likeable lead. 4 stars! Thanks to Ballantine Books for an advance copy in exchange for an honest review. The Flash: Starting Line is a great value. It includes comics 0-12 plus the first annual for less than $25 on paper and even less digitally. These episodes of The Flash hold up well. The drawing is bright with beautiful coloring. The plots are great. I’ve never read some of the early stories. 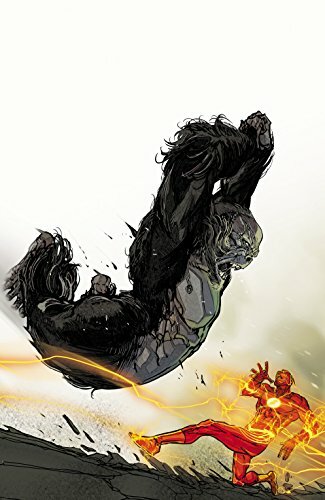 It was nice to read Barry’s backstory. The collection contains a great explanation of how he can move through solid objects and how he discovered that skill. Most of the best enemies are here. 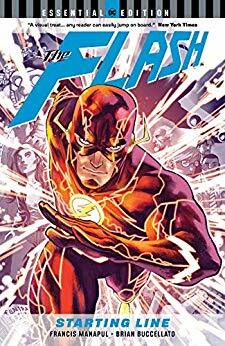 The Flash: Starting Line is a great way to bring new readers quickly up to speed. It also is excellent to fill in blank spots for existing fans that may not have read the original issues. 5 stars! Telling a story of regret and redemption, Batman: Detective Comics Vol 3-League of Shadows (Rebirth) is haunting. 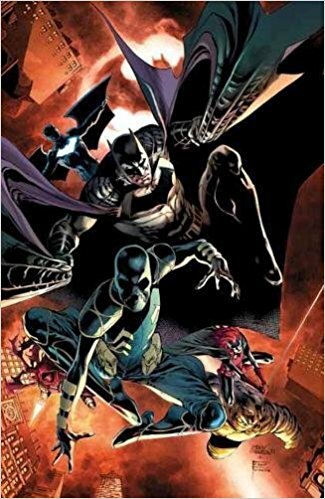 Orphan, aka Cassandra Cain, is a former killer for hire trying to overcome her and her family’s past and become a superhero. Despite a friendship with Batman, she still feels desperately alone. Mayor Hady is a corrupt politician attempting to finally put his citizens first before his own greed. Into the vacuum comes the League of Shadows intent on killing both superheroes and villains in pursuit of a better world. Who is behind this merciless new violence? Is it the Joker, Ra’s Al Ghul or a new player from Orphan’s past? The bright pastel color pallet with pops of bright red and the illustrator’s varying use of perspective makes the artwork both beautiful and intrinsic to the story being told. The complex backstory of Orphan makes this comic a compelling read. 4 stars! Thanks to the publisher, DC Entertainment, and netgalley for an advance review copy in exchange for my honest review. Batman: Detective Comics Vol 3-League of Shadows (Rebirth) will be published October 10, 2017.